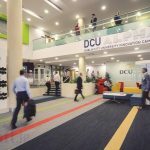 We are excited to open bookings for our next Smart Connected Devices event which takes place on the 27th June at DCU Alpha. Designed to help member companies explore the Internet of Things (IoT) phenomenon and what it could mean for innovation, these events bring together a diverse range of speakers. Covering updates on the IoT landscape in Ireland, to the technologies available, to case studies from companies who are already seeking out opportunities in this area, these events are free to members to attend.